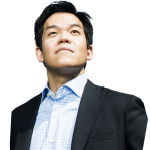 Ren Ito is the senior advisor for BGA Japan and a diplomat, scholar and social entrepreneur. He has a strong track record in building a broad network with governments, businesses and civil societies in the United States, Japan and other Asian countries, as well as managing politically sensitive negotiations on security treaties with the United States and the European Union-Japan free trade agreement. Ren joined the Japanese foreign service in 2001 and held key positions in Tokyo and Washington, D.C. After 15 years in diplomacy, he ventured into the new entrepreneurial challenge of leading the global expansion of Mercari, Japan’s first and only pre-IPO startup unicorn. He went on to hold executive positions in a number of Japanese and American start-ups, leading their international operations. Ren also serves as senior fellow at New York University (NYU) School of Law, where he continues to be involved in public policy debates by speaking on and researching matters of international law, East Asia’s security environment, and technology issues such as cryptocurrency, cyber security and e-commerce. Ren received his Master of Laws from NYU School of Law and his Bachelor of Laws from the University of Tokyo. He is admitted to practice law in New York. Ren also holds a Master of Arts in East Asian Studies from Stanford University.